Welcome to the Annual Report of Mourne Heritage Trust for 2015/16 - an exceptionally challenging, but ultimately rewarding, year for all involved. The business year began with considerable uncertainty hanging over some of the funding that sustains the Trust. In the face of budgetary pressures, the Department of the Environment had given notice of the early termination in June 2015 of its funding arrangement, delivered through Northern Ireland Environment Agency (NIEA). Considerable time was therefore invested in lobbying and influencing to address this serious threat to the Trust’s ability to operate. 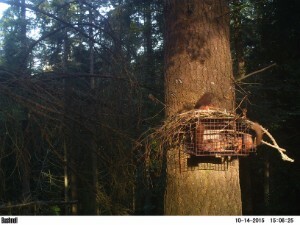 With the success of these efforts, considerable staff time subsequently went into detailed funding applications, first of all to the Natural Environment Fund – which secured an offer of funding for the nine months to 31st March 2016 – and then to the Environment Fund, which ultimately delivered continued funding for 2016/17 with the possibility of extension for a further two years. The return to a relatively even keel in relation to our main core funding is most welcome and I hope that, in due course, 2015 will prove to have been a year in which the question of whether secure funding arrangements are required for care of our most prized landscapes was answered clearly in the affirmative. For this thanks must go to the 1500 plus people who signed a petition on our behalf. I am also grateful to staff in Northern Ireland Environment Agency for their ongoing positive engagement throughout what for them has also been a challenging period. I must also, of course, acknowledge the commitment of the Trust’s own staff in a time of financial uncertainty. As well as working hard on the funding applications required, they found the determination and energy to continue to deliver an impressive range of services and positive environmental outcomes. Consequently, as you will see from our online annual report, we have been able to maintain a good degree of continuity in terms of progressing ongoing major initiatives. 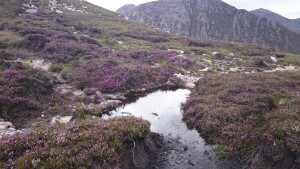 These include the care of the high Mournes path network and access routes, as well as the development of detailed plans for enhancing the condition of the surrounding upland heath habitat. These plans were partly informed by the further roll out of our programme of controlled burns at critical points in the landscape as both a wildfire prevention and habitat management tool. 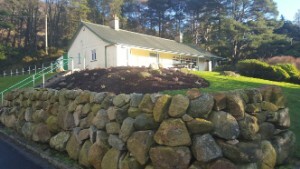 Juniper, red squirrel, wildlife gardening and other biodiversity projects continued along with the various built, cultural and natural heritage projects that make up the Mourne Mountains Landscape Partnership, the latter anchored by funding from the Heritage Lottery Fund. 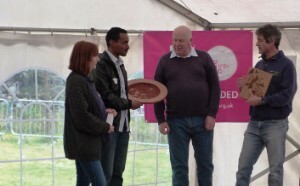 BIG Lottery continued to support our volunteering effort with the Active Lifestyles programme engaging many sections of society in health and well-being enhancing conservation activities. 2015/16 was notable as the first year in which the Mourne AONB sat in a single local authority area, that of Newry, Mourne and Down District Council. I am delighted that the relationship the Trust enjoyed with the current Council’s predecessor organisations has been replicated and built upon. 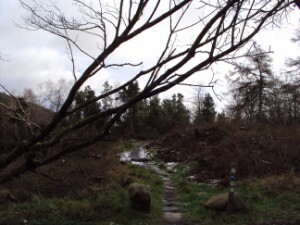 As well as the provision of services to help Council manage its access infrastructure and responsibilities in both forest parks and the wider countryside, we worked closely with the local authority to bring to a successful conclusion the Interreg IVA (European cross border funds) Mourne Cooley Gullion Geo-tourism project, leaving a legacy of enhanced access to and interpretation of the geological features of this special area. With Council and our other main funder, Tourism NI, we have also worked to further develop visitor experiences, both in the short term and in planning for the future. 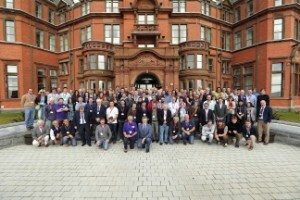 To conclude, I would like to reiterate my thanks to the almost countless numbers of people who so strongly expressed their support for the Trust’s work to be sustained in online forums, letters , attendance at meetings and a variety of other ways. And of course, as always, my thanks to my fellow Board members and all our other volunteers. 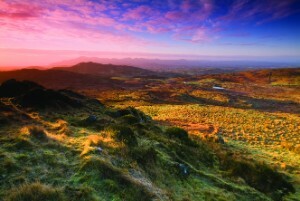 I look forward to continuing to work with you all in Caring for Mourne. 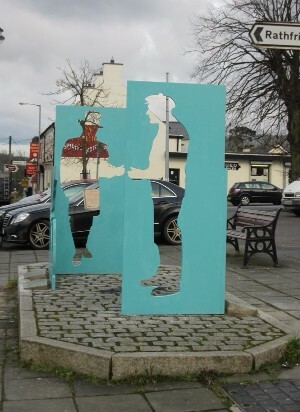 The model of a Trust-based partnership was agreed by Environment and Heritage Service (now Northern Ireland Environment Agency) and Northern Ireland Tourist Board (now Tourism Northern Ireland), in conjunction with the Department of Agriculture (now the Department for Agriculture, Environment and Rural Development) and the three local authorities of Banbridge, Down and Newry & Mourne respectively (now merged to form Newry, Mourne and Down District Council). The Board of Trustees represents a partnership of interests which includes local elected representatives, landowners, farming and community interests, giving a strategic lead to the management of the AONB. The Board met collectively on seven occasions through the year, while members also contributed through the Executive Committee, Natural Heritage Sub Group, Destination Mourne Mountains and Ring of Gullion Tourism Forum and Mourne Outdoor Recreation Forum, among other mechanisms. 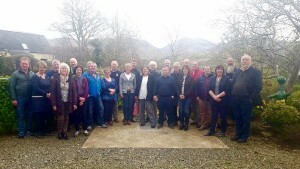 The Trust held its eighteenth Annual General Meeting on Wednesday 21st October 2015 at Tollymore National Outdoor Centre. The meeting was opened by Councillor Naomi Bailie, Chair of Newry, Mourne and Down District Council marking beginning a new era with the Mourne AONB for the first time in a single council area as a result of the changes brought about by the reorganisation of local government under the Review of Public Administration. 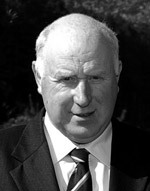 Ms Siobhan Thompson replaced Ms Emma Cunningham as Landscape Partnership Projects Officer. 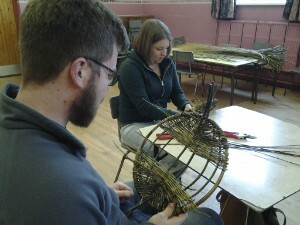 Ms Rachel Bolt took up the post of Volunteer Co-ordinator which had been vacant at the beginning of the year. In the last year we comprehensively reviewed achievement against the Action Plan for 2010 – 2015 in preparation for putting in place a plan for the period to 2022. 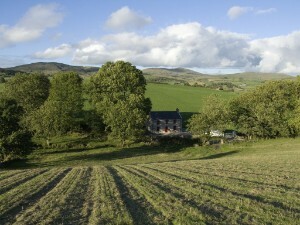 Across the 28 objectives set for the Management Plan, the Steering Group considered progress against 13 to have been satisfactory and to have been demonstrably above expectations against another 13, significantly outweighing the 2 objectives against which progress was judges as below expectations. This equated to 93% of objectives against which progress was satisfactory or better. 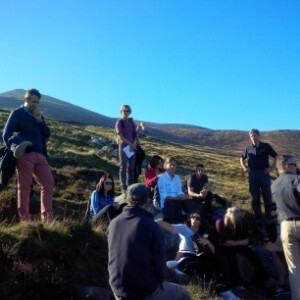 High Mournes Management: Very significant progress; leading practice in erosion control, wildfire prevention, heathland management. Lowland and Coastal Practical Work: Not as well developed as in uplands. 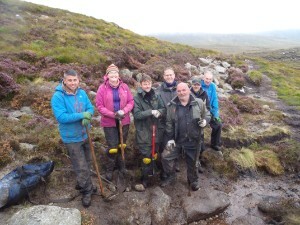 Geodiversity: Interreg funded Mourne Cooley Gullion project produced significant outputs and was well received. Built Heritage: Less work on vernacular buildings than previous five years, but more than expected on various monuments and stone walls. Sustainable Tourism: Change of emphasis from Europarc Charter to Green Accreditation Scheme. Outdoor Recreation: Many and diverse developments in infrastructure. Countryside and Visitor Management: Scope of management approaches expanded in line with developments in infrastructure, notably in relation to mountain biking. Alongside the review of progress, a review of key policies and strategies, input from key partners and stakeholders and an online public survey informed our plan for the coming period which, by year end, was submitted in draft form to Northern Ireland Environment Agency. 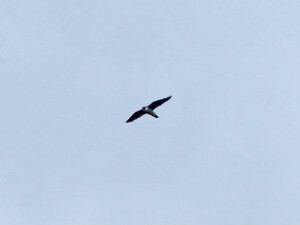 In addition to coordinating and monitoring implementation of the Management Plan, the Trust’s role is involves provision of significant landscape and environmental management and enhancement services and developing and delivering relevant projects. In the remainder of this annual report we focus on the subset of management plan activities led by and/or significantly involving Mourne Heritage Trust. Please note that, in line with the fact that the Trust’s work is multi-dimensional, some activities and projects are detailed more than once under different areas of operation. This reflects the contributions of different technical disciplines to the various activities and/or the contribution of these activities to delivering multiple outcomes. Our work to protect and enhance the natural environment continued to be informed by the Mourne Biodiversity Action Plan and was targeted on priority habitats and species. A period of detailed research, planning and negotiation had culminated at the end of the last financial year with a series of trial controlled burns on a site between the Silent Valley and Ben Crom reservoirs. This year saw the wider roll out of the techniques developed in conjunction with NI Fire and Rescue Service (NIFRS) and closely guided by Northern Ireland Environment Agency. Controlled burns and other vegetation management techniques were focussed on identified ‘critical control points’ in the Bloody Bridge area in early spring 2016, timing that optimised the potential for regrowth of priority species in addition to achieving the wildfire control outcome of removing ‘fuel load’ at strategic points in the landscape. Follow up burns also took place to expand the scale of treated area at Ben Crom. 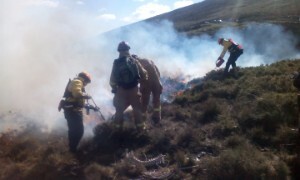 Post burn management and monitoring of the site treated in 2014/15 was also undertaken and learning reported to key stakeholders through the Mourne Wildfire Group. This wider strategic learning and development of best practice for Northern Ireland is a key objective of the Mourne pilot project. Integral to this were site based workshops with experts from the Pau Costa Foundation from Catalonia, Spain which resulted in agreement with stakeholders of recommendations for additional data capture and topographical monitoring to most effectively target controlled burns. These workshops, and the practical experience of the controlled burns, are adding to the knowledge bank of how fire behaves in an open landscape like the Mournes and assisting Fire and Rescue Service in deploying its resources in the incidents of uncontrolled fire that continue to occur. Our Countryside team continued to work closely with the Mourne Mountains Landscape Partnership to develop a comprehensive approach to protecting and enhancing our precious upland heath. This aims to go beyond addressing key threats, like wildfire and erosion, to actively restore habitat and contribute positively towards achieving favourable condition targets for key designated sites. Building on consultations with heathland experts undertaken in previous years, we finalised the selection of nine sites for the development of management prescriptions and methodologies, contracting Penny Anderson Consulting to develop detailed management plans. Based on this work four sites were subsequently prioritised for action in phase I. 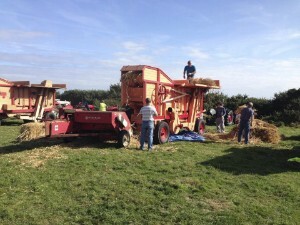 A number of demonstration and consultation events – based on site assessment methodologies and discussion of restoration techniques and implications - were held for key stakeholder groups including the Bloody Bridge area farmers and outdoor recreation groups. Meanwhile, works continued at two locations - Silent Valley boardwalk and Ben Crom - and included sward turning to regenerate heather from earth (as opposed to root stock), control of Molinia grasses and the monitoring and treatment of wet flushes. A final practical task completed by year end was the sourcing and deployment of appropriate materials, including coir rolls and geojute at Slieve Binnian, Lamagan and Binnian Lough sites and the completion of detailed specifications and tender documents for contractors. We look forward to this work continuing apace in the coming year. 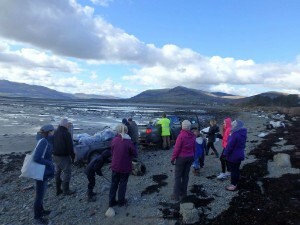 At Mourne Heritage Trust we are continuously monitoring for environmental issues – through our ranger service, volunteers, social media and other mechanisms – and finding solutions. The list below is not exhaustive but is designed to illustrate the breadth of work this year, both geographically and in terms of the variety of the interventions used. 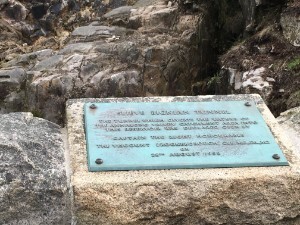 initiative to address accumulation of litter at Mourne Wall summit towers on Commedagh, Donard, Meelmore including signage, additional clean ups and press campaign with NI Water. 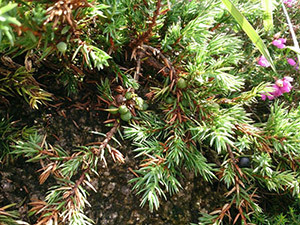 Our Mourne Juniper recovery programme also continued to exhibit success. 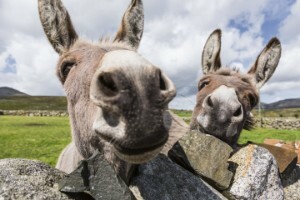 After completing a detailed survey and satisfying the various statutory processes, including addressing bio-security issues, 100 new specimens were planted out in three quarry sites around Drinneevar and Thomas’ Mountain – chosen to enhance connectivity and thus the opportunity for the plants to prosper. 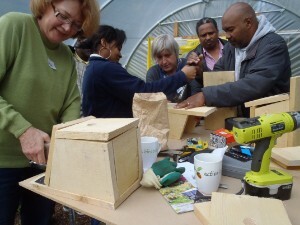 Monitoring and aftercare of previously planted sites was ongoing and nursery propagation continued to be successful. 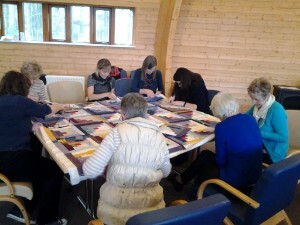 Many of the activities above benefit from the input of our dedicated volunteers. Too numerous to list comprehensively we will instead, as representation for all those who contribute, acknowledge the input of the winners of our Mourne Natural Heritage Awards. Gareth Allen was the recipient of the individual award for his commitment to volunteering on a weekly basis for over 6 years. Gareth regularly attends the Trust’s two organic gardens and tree nurseries, and helps out with litter lifting and other important environmental work across the AONB. He is also the Trust’s resident chicken expert and maintains a careful eye to ensure its free range chickens remain healthy and produce plenty of eggs! 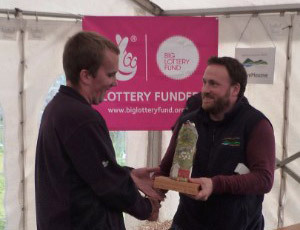 Martin Carey, Chief Executive of Mourne Heritage Trust presented Gareth with his award said ‘Gareth is one of our volunteer stalwarts and fully deserves this recognition for his dedication, come rain or shine’. Along with volunteer rangers, special needs groups, corporate groups, youth rangers and individuals from a variety of backgrounds, the award winners contribute to and benefit from social inclusion and health outcomes as well as conservation. 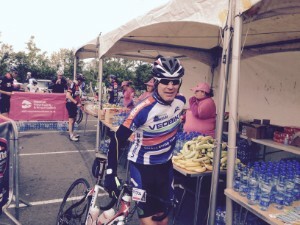 All of our funders contribute to supporting the volunteer pork but in particular the Active Lifestyles project, funded by BIG Lottery, drives participation. In the year past this funding enabled us to commission expert consultancy to help scope the potential for growing and financially sustaining our volunteering and we look forward to working on the recommendations of this exercise in the year to come. 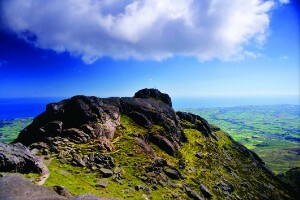 The Mourne AONB is the most used area of Northern Ireland for some of our most popular outdoor recreation activities including walking, rock climbing and mountain biking. Much of this focusses on the mountains of the high Mournes, along with key forest, parkland and coastal sites where there is good countryside access. The importance of the high mountain access routes alone is illustrated by our pedestrian visitor counters which, large as the numbers are, give only a snapshot such are the variety of entry points to the hills. The Mourne AONB also contains two long distance accredited walking routes and over 20 other Quality Walks, along with an extensive network of green lanes and Public Rights of Way. 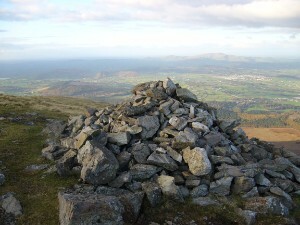 As illustrated by the counts the use of the Mourne Mountains is not only significant – topping a quarter of a million at the five selected points – but also increasing. The rise of 33,800 in total users from 2014/15 represents a 15% jump. The increase of almost 9,000 in each of the last two years at Carrick Little track is notable along with the 36% rise in numbers using Ott track in the space of 12 months. These figures, along with the evidence of observation, highlight the ongoing need for the services outlined in this section. 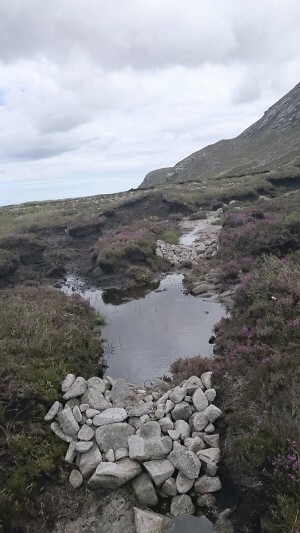 An important continued focus has been the monitoring and ‘stitch in time’ maintenance of the upland path network following completion of two major phases of erosion management works around Slieve Binnian, the Brandy Pad and Slieve Donard in 2014. Particular attention was required at Binnian North Tor, where to address issues evidenced as the large scale path works bedded down and were impacted by patterns of use and weather. Also important was the scoping and planning of the next phases of major erosion control work at Binnian/Lamagan Col and Ott, with the former hopefully to be implemented in 2016 and resources to be sought for the latter. Away from the higher mountain paths, upgrade works at quarry tracks were a feature of this year’s work notably at Bloody Bridge and Browne Knowe. 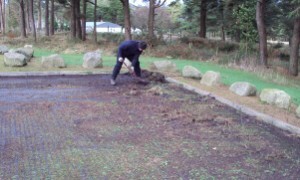 Both sites involved enhanced drainage and re-profiling to address repeated wash outs. 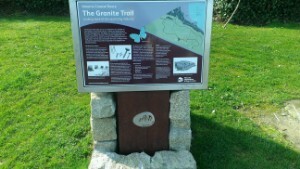 We also carried out snagging works on the Cloughmore Trail in Rostrevor and refurbishment on the lower ‘bogie line’ section of the Granite Trail outside Newcastle. 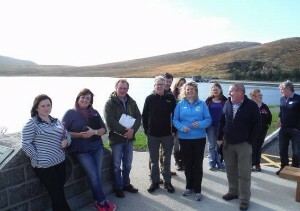 A positive development towards building our future capability to deal with visitor management was the success of an application to the Interreg V Northern Periphery Area project with Donegal County Council and various Scandinavian partners. 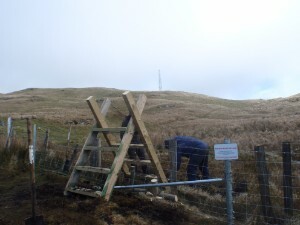 From autumn 2016 this will provide us with some dedicated staffing to deliver ‘stitch in time’ path maintenance capacity – where currently we rely on our countryside and ranger teams finding space among their many duties - and will also allow us to share and compare best practice in the management of visitor access issues at ‘honeypot’ upland sites. The focus for the work will be Slieve Donard and its key access approaches and thus National Trust and Newry, Mourne and Down District Council will be key partners. 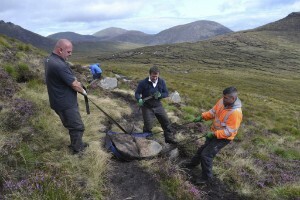 To build capacity among landowners and volunteers we conducted a week long path repair training workshop in conjunction with the Mourne Mountains Landscape Partnership and provided tailored path repair days for various groups from July to September at Ben Crom Reservoir and Glen River areas. 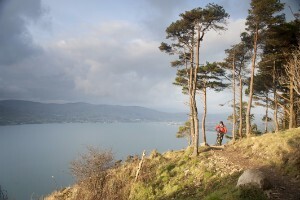 We continued to develop our mountain bike trail management service at Castlewellan Forest Park and Rostrevor Forest, with additional staff assisting the trail Trail Ranger for much of the year. This allowed us to further scope and plan solutions to issues raised in user feedback. 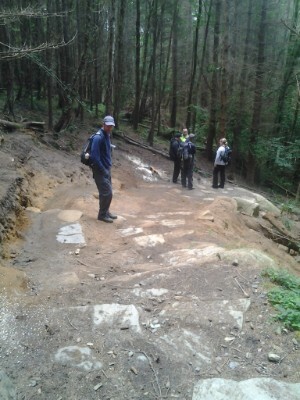 Works to enhance trail flow on Downhill 2 in Rostrevor adhered to strict specifications and guidance from a professional trail builder and have received good feedback from users. The retro fitting of grip strips to improve the experience of riding boardwalk sections has also been well received. training of staff in use of Argocat all-terrain vehicle for ongoing path maintenance. 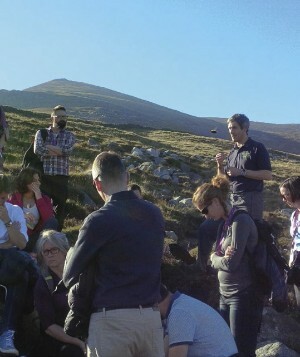 Animating Experiences – An accredited tour guide training programme in conjunction with our Mourne Mountains Landscape Partnership, provided a cohort of people expert in both the generic skills of guiding and more particularly the natural, built and cultural heritage of the Mourne area. After an oversubscribed application process, twenty four people were selected, with the first cohort of twelve having ‘graduated’ by the year end. 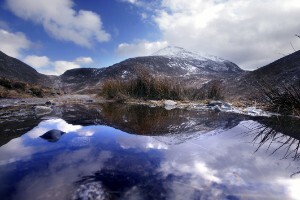 In addition, working with tourism businesses we achieved consensus on key heritage experiences and their component parts, establishing a basis for packaging and clustering around key themes namely Mourne Granite, the Water Story and Narnia. We contributed significantly to completion of the European Union funded Geo-tourism programme, including new marketing and interpretation collateral. 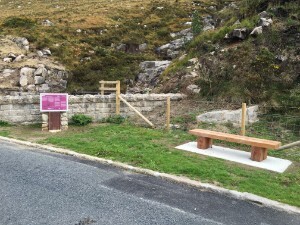 Visitor Infrastructure and Site Interpretation – Amenity site upgrades at the Binnian Tunnel and Spelga Reservoir further rolled out the destination look and feel developed for the Mourne Coastal Route, as did upgrade work to the interpretation and artefacts around the Granite Trail. 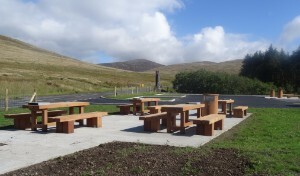 A one kilometre ‘strategic link’ section of upland path was completed between Ben Crom reservoir and the Binnian / Lamagan col, while the final piece in our public art trail was installed in Hilltown celebrating the village’s story as a market and ‘the crossroads’ of the Mournes. 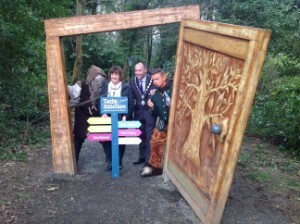 In our sustainable tourism work we have given close consideration to Tourism NI’s experiential tourism pillars. Outlined below is some of the specific work against each of these. Activities in this year differed considerably from the previous year, which had been dominated by the completion of capital projects - many funded by the Northern Ireland Rural Development Programme. This allowed the focus to change to a number of the ‘softer’, more cultural projects, so community engagement was key to success. The following projects demonstrate the breadth of the programme in terms of activity, whilst also demonstrating the range of people with which the Landscape Partnership engages. 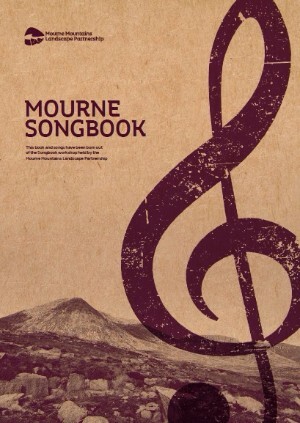 The publication of the Mourne Songbook marked the culmination of many hours of hard work by our local musicians, under the expert guidance of Peter Baxter and his colleagues from SongSchool. 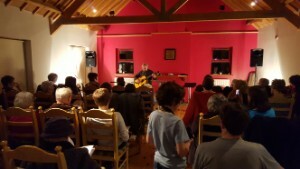 Workshops from the previous year had helped to foster an avid bunch of musicians who were keen to pen some songs, inspired by the amazing Mourne landscape. 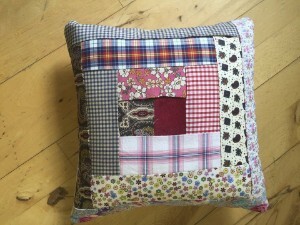 This project is a great example of inter-generational working as people of all ages pooled their skills and, collectively, were able to achieve things that may not have been possible as individuals. The local secondary level schools were invited to take part in music workshops and this resulted in the production of songs from Shimna College, St Malachy’s High School and St Louis Grammar School. 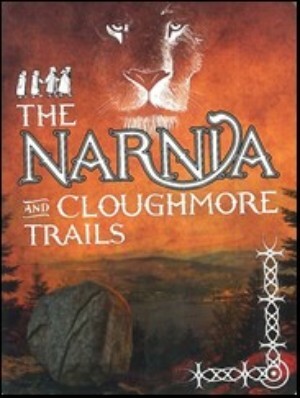 These songs are also featured in the Mourne Songbook. 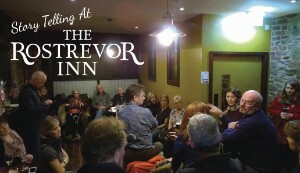 The songbook was formally launched on the 4th March when the local musicians were joined by their family and friends for what proved to be a very entertaining evening. The Mourne Community Choir also performed a couple of numbers and the evening concluded with a number guaranteed to generate audience participation - the Percy French classic, ‘The Mountains of Mourne’. This programme, which targets primary school children, aims to raise awareness of different aspects of our heritage, with the focus for this particular period being the built environment. The previous year focussed on natural heritage and the final year will concentrate on cultural heritage. 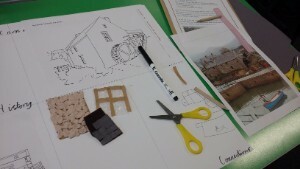 Ulster Architectural Heritage Society (UAHS) set about developing a bespoke Teachers’ Pack, focusing on significant sites such as the Silent Valley, Annalong Cornmill, Tollymore Forest Park and Hanna’s Close. 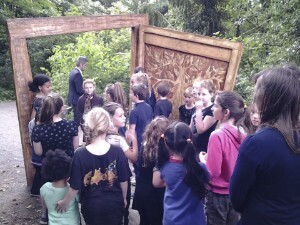 Each primary school was invited to attend a workshop, either at the Silent Valley Education Centre or, if transport was not available, in their own school.